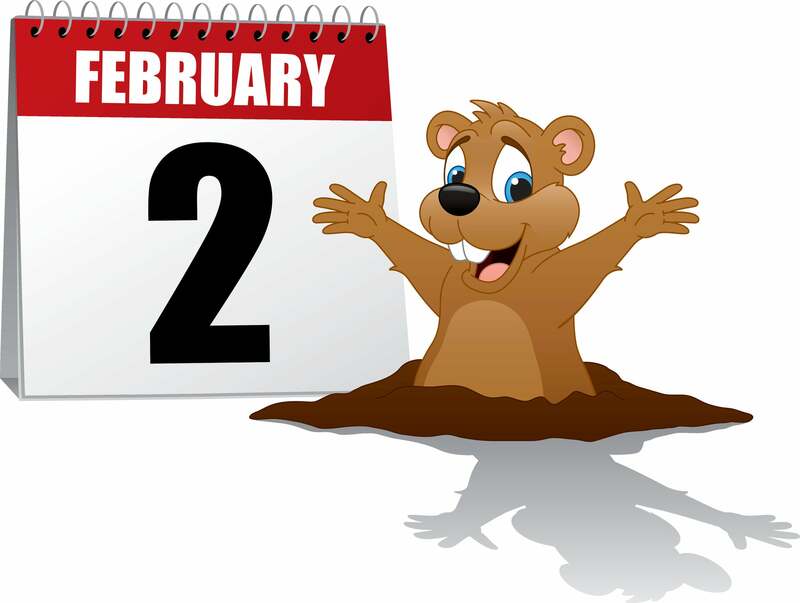 Ground Hog Day is a holiday that’s celebrated in the United States every year on February 2. Pennsylvania Dutch superstition says that if the groundhog emerges from his hole on this day and sees its shadow, the groundhog will retreat into his burrow and there are six more long weeks of winter. It’s the same tradition every year, and if you saw the Groundhog Day movie with Bill Murray, then you know that the day can also repeat itself over and over until you figure out a way to break the cycle of mistakes you consistently make. The same applies to the same financial mistakes you make year after year. How do you stop the cycle and get back on the right financial track to avoid a Groundhog Day scenario of your own? Here are some common financial mistakes to avoid and solutions on how to avoid repeating these same money mistakes over and over again. Reports show that the average American household has about $8,284 in credit card debt while the average American carries about $38,000 in personal debt. Most of this debt is because some consumers tend to put too many expenses on their credit cards which tend to have high APRs. The average credit card APR is now over 17%. If you carry balances month to month, this can get you deeper into debt and be harder to pay off. Solution: If you carry credit card debt, then paying that debt off should be a top priority. Some options to pay off this debt are to take out a debt consolidation loan or get a low APR balance transfer credit card. Both options are viable when you have good credit. Without these basics of financial planning, your financial life will be in disarray, especially after the when many people overspend. What many people tend to forget during the holidays is that the following year is just around the corner and it also has its own set of expenses. Failing to budget for holidays and your day to day life can leave you with high credit card bills. Solution: Create a budget for the year and try to save money throughout the year to make your holiday spending easier to manage. Try not to spend more than you can afford. If there’s no money for it in the budget, then it shouldn’t happen unless there is another way to pay for it-like getting a freelance gig or a part-time job. There’s a good chance that you may have forgotten to pay a bill on time. Life gets hectic, but even one late payment can hurt your credit score. Solution: Create a budget so that all your bills get paid on time. Set up automated payments through your checking account sothat you don’t accidentally miss any payments. To keep up with your bills, it may be tempting to overdraft your bank accounts. However, this costs you more money since you end up paying overdraft fees. This can get you in an even bigger hole. Solution: Sign up for online banking. You can sign up for text alerts that notify you when your balances are low. You can also turn off overdraft protection so that your account isn’t overdrafted and you don’t pay these fees. You probably live paycheck to paycheck. So saving is hard. But not saving is a huge mistake. Many Americans aren’t prepared for emergencies, which can sink them deeper into debt. Having a savings account – even a small one, can serve as a buffer if you have a financial emergency. Solution: See what expenses you can cut out of your spending. Then start putting that amount into your savings. You can have a certain amount deposited each paycheck or from your checking account into a savings account. Put your money in a high yield savings account and watch it grow quickly. Your credit is important. Identity theft is more rampant than ever. Having negative information on your credit reports can keep you from getting approved for a loan, pay higher interest rates, or get turned down for a job. Solution: Sign up for a free Credit.com account. We offer two free credit scores updated every 14 days. We also give you a credit report card which is a summary of your credit report. Monitoring for changes can help you know if there is any fraudulent activity on your file. If you don’t want to repeat financial mistakes this year, make a plan and stick to it. Keeping track of your finances may not prevent another long winter, but you’ll be secure knowing you aren’t repeating these mistakes and reliving your own Ground Hog Day.